I have been tasked with teaching the lesson in Elder's Quorum this coming Sunday. 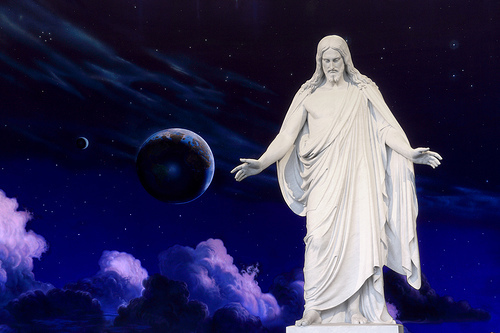 I am teaching from President Uchtdorf's sermon, The Merciful Obtain Mercy, given in the Saturday Morning Session of the April 2012 General Conference of the Church. It is a lovely address and deals with challenging topics such as envy, jealousy, hatred, contention, resentment, and revenge. President Uchtdorf presents the doctrine related to these emotions/actions and also points to the ways in which the Atonement may be utilized to heal wounded hearts/minds/bodies after involvements in these disturbing complications. It is an excellent sermon. After reading it through several times and after thinking about ways to present the subject matter, I have developed a few good ideas and techniques. But, I confess that it has been quite a while since I presented a full-length lesson in an adult setting at church and I could use more ideas for presenting the material and enhancing the learning atmosphere. I want to take the lesson beyond the normal style of priesthood teaching seen all too often in wards and stakes, and I am open to suggestions from those of you who possess strong teaching ability, skills, and techniques. So, if you have great ideas or suggestions for teaching this lesson in a compelling way that will have a lasting impact on the brethren in the room, please send me an email or make a comment on this post. I welcome anything that could enhance the atmosphere of the meeting, improve the means by which I present the material, or provide a spiritual impact. In advance, thanks! Professional school teachers and seminary or institute teachers: I am looking in your direction!